Summertime means swimming and fun in the sun. Whether you will be enjoying the water at the ocean, a lake, or a public pool, swim nappies are a must-have for the baby. Many public swimming areas require them, and they are very good for baby. They are made with material that does not swell up when wet as regular nappies do. Swim nappies come in both disposable and reusable types. 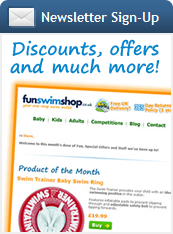 Disposable swim nappies are convenient and cost less money up front then the reusable ones. They work the same way a regular nappy does, but they do not swell up when wet. Swim nappies absorb liquid and keep solid wastes inside the nappy. 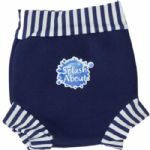 Reusable swim nappies are preferable if you and baby will be at the pool often. When you change the nappy, you can put the soiled one in the laundry and it will be ready to get used again. This takes more time than the disposable ones and they do cost more money initially. However, if you will need to use swim nappies often, the disposable ones can get expensive. Despite the work involved, reusable ones will save you money if you use swim nappies often enough.